In parallel with Petrol as a driving resource in this world, Data is becoming an increasingly decisive resource in modern societies, economies, and governmental organizations. Gradually and steadily, it is being world-wide recognized that data and talents are playing key roles in modern businesses. As an interdisciplinary area, Data Science draws scientific inquiry from a broad range of subject areas such as statistics, mathematics, computer science, machine learning, optimization, signal processing, information retrieval, databases, cloud computing, computer vision, natural language processing, etc. Data Science is on the essence of deriving valuable insights from data. It is emerging to meet the challenges of processing very large datasets, i.e. Big Data, with the explosion of new data continuously generated from various channels, such as smart devices, web, mobile and social media. Data Systems are posing many challenges in exploiting parallelism of current and upcoming computer architectures. Data volumes of applications in the fields of sciences and engineering, finance, media, online information resources, etc. are expected to double every two years over the next decade and further. With this continuing data explosion, it is necessary to store and process data efficiently by utilizing enormous computing power. The importance of data intensive systems has been raising and will continue to be the foremost fields of research. This raise brings up many research issues, in forms of capturing and accessing data effectively and fast, processing it while still achieving high performance and high throughput, and storing it efficiently for future use. Innovative programming models, high performance scalable computing platforms, efficient storage systems and expression of data requirements are at immediate need. Extended versions of selected best papers will appear in SCIE-indexed international journals, such as IEEE Internet of Things Journal (IF:5.863), IEEE Transactions on Industrial Informatics (IF:5.43), Information Sciences (IF:4.305), Neural Computing and Applications (IF:4.213), Neurocomputing (IF:3.241) and Software: Practice and Experience (IF:1.338). DSS (Data Science and Systems) was created to provide a prime international forum for researchers, industry practitioners and domain experts to exchange the latest advances in Data Science and Data Systems as well as their synergy. 2019 is the 5th event following the success in 2015 (DSDIS-2015), 2016 (DSS-2016), 2017 (DSS-2017) and 2018 (DSS-2018). 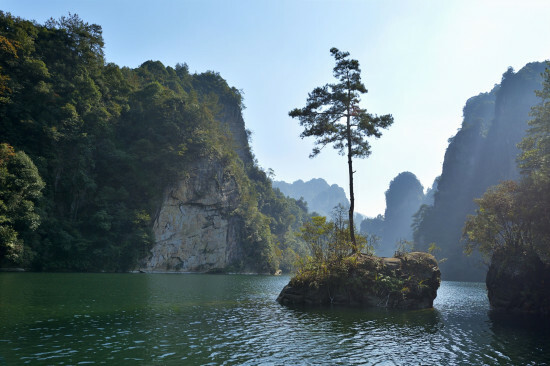 DSS-2019 will be hosted in Zhangjiajie. 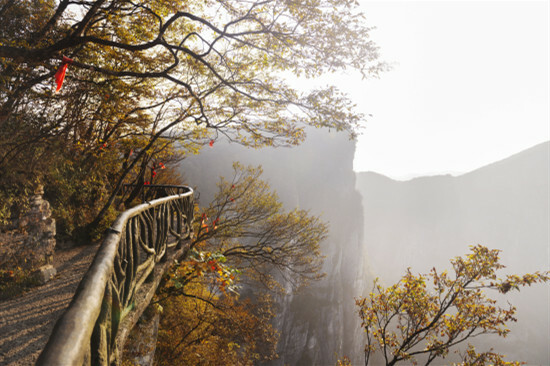 It is the first national forest park in China and one of the most important tourist cities in China.It is located in the northwest of Hunan province, about 400 kilometers away from Changsha, the capital of Hunan province, covering a total area of 9,563 square kilometers, of which 76% are mountainous area. 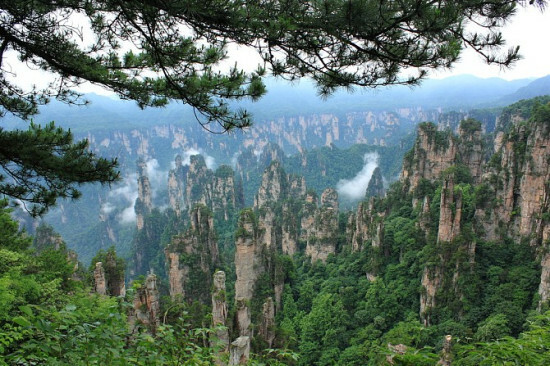 Zhangjiajie was listed into the World Natural Heritage Catalogue by the UNESCO in 1992. 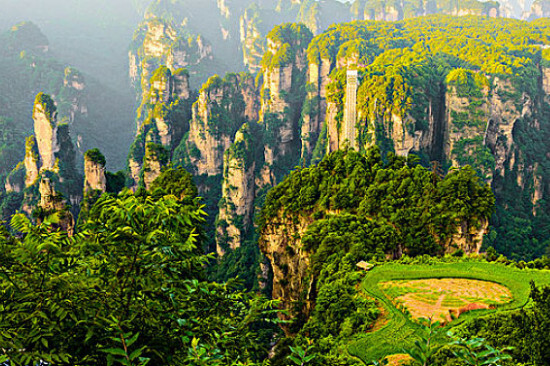 Zhangjiajie was awarded the title of “World Geological Park” in 2004. Prospective authors are invited to submit their papers to DSS-2019. All accepted papers are expected to be included in IEEE Xplore and will be indexed by Engineering Index (EI). The authors of selected best papers will be invited post conference to extend their contributions for special issues of prestigious journals to be planned in conjunction with the conference. Innovative data intensive applications such as health, energy, cybersecurity, transport, food, soil and water, resources, advanced manufacturing, environmental Change, and etc. Once accepted, the paper will be included into the IEEE conference proceedings published by IEEE Computer Society Press (indexed by EI). At least one of the authors of any accepted paper is requested to register the paper at the conference. Please click the "edit" symbol beside the public release approval before uploading your paper. Copyright© DSS-2019. Created and Maintained by DSS-2019.